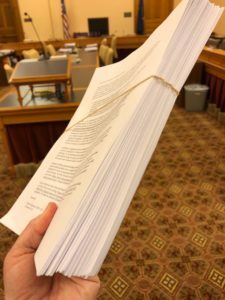 Home » Posts Tagged "dyslexia"
The Legislative Task Force on Dyslexia met yesterday in the Statehouse for what was essentially a meeting designed to learn about each other – what each person brings to the task force – and to review the charges put to the task force by the Legislature. Dyslexia legislation has been an annual debate for many years. In the 2018 Legislative Session, a bill was brought forward that would have mandated every elementary child be screened specifically for dyslexia by the school district. 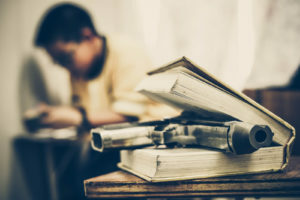 Testimony in the education committees was often heated as parent advocacy groups and special education directors shared opposing stories of what is possible, legal, and achievable. Rep. Brenda Dietrich (R-Topeka), a member of the House Education Committee and a retired public school superintendent, working with other legislators including Rep. Tom Cox (R-Shawnee) who brought the original bill, came up with the idea of forming a task force to bring recommendations back to the Legislature. 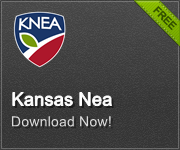 KNEA strongly supported the task force formation. When the House passed the task force bill and sent it to the Senate, Senate Education Chair Molly Baumgardner (R-Louisburg) worked with her committee to ensure that teachers would be members of the task force. KNEA worked with Baumgardner and the members of her committee to make sure the teacher voice would be on the task force. As a result, four teachers are members of this task force: Jennifer Bettles, Sarah Brinkley, Jeri Powers, and Tally Fleming. administer such assessments in order to identify children with reading difficulties, such as dyslexia or the characteristics of dyslexia as part of an ongoing reading progress monitoring system, multi-tiered system of supports, and Child Find special education eligibility for students. Members of the task force were divided into four subcommittees assigned to address the four charges. Subcommittee 4; Identify valid and reliable screening and evaluation assessments and protocols that can be used and the appropriate personnel to administer such assessments in order to identify children with reading difficulties, such as dyslexia or the characteristics of dyslexia as part of an ongoing reading progress monitoring system, multi-tiered system of supports, and Child Find special education eligibility for students. Jennifer Knight, Parent of a child with a diagnosis of dyslexia, Families Together, Inc. Subcommittees met to briefly discuss their charge and possible action plans for moving forward. They will hold other meetings between now and when the full task force meets again on September 13.